All photographs provided by the author. A few days ago, my mother told me that she wanted me to die. “I hope you die of a car accident on your way to school,” she cursed in Chinese, each of her syllables emphasised in slow but harsh staccato beats, contradicting her frail body sprawled on the beige armchair. The words stung. But I ignored her, pretending I was already numb to a mother who was now a different, lesser version of what she used to be. After all, she was not always like this. 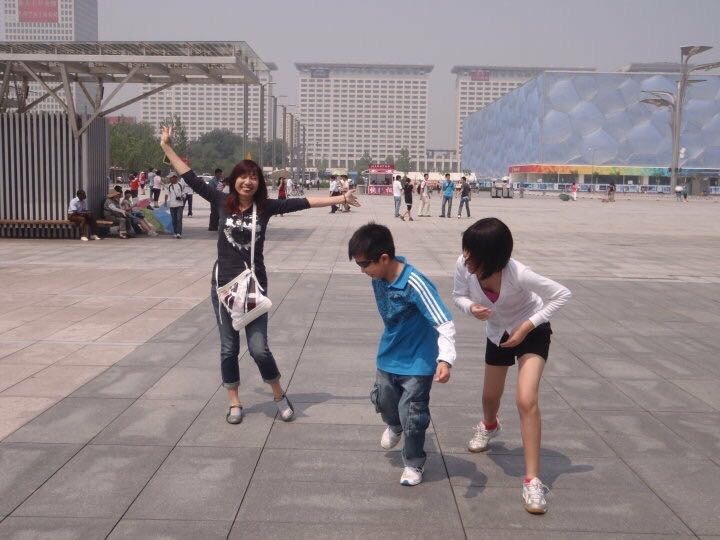 An early photo of an overseas trip my family and I took to China around 7 years ago, before my mother fell sick. My mother was known to be really bubbly and cheerful, often posing teasingly in front of the camera. In late 2012, my mother was diagnosed with terminal-stage lung cancer and brain metastases. Her first symptoms were not the result of what was happening in her lungs, but her brain tumors: she suffered from constant migraines and seizures. After her initial cancer diagnosis, my father painstakingly took her to several doctors, before finally settling on a famed oncologist who confidently told my parents there was nothing to worry about. While they made weekly trips to the hospital for blood tests, x-rays, and chemotherapy sessions, 17 year-old me spent my days online, reading up on the lifespans of cancer patients. The alarmingly low survival rates I found on Google kept me up on countless nights. At least on the surface, my family remained the same: my mother was battling cancer with her usual cheery demeanor. We still went for the same family gatherings, and the same weekly dinners. A silent consensus emerged between all of us, but I knew we were already prepared for the worst. In 2013, a serious bout of seizures sent my mother to the ICU. She floated in and out of consciousness, and her hazel brown eyes, once beautiful, now scared my family as they stared motionlessly at the ceiling. We spent our Mother’s Day in the hospital. When she finally regained full consciousness a few days later, the good news came with an unfortunate caveat: due to the trauma of my mother’s near-death seizures, her brain was now malfunctioning, resulting in a case of temporary amnesia. I remembered that night when I took a taxi to the hospital after a day of lessons, only to be met with my mother’s blank stares when I showed up at her ward. My aunt showed her the Mother’s Day Card my brother and I had written for her, and asked if she recognised me. My mother shook her head. One of the last birthday presents my brother and gave her. 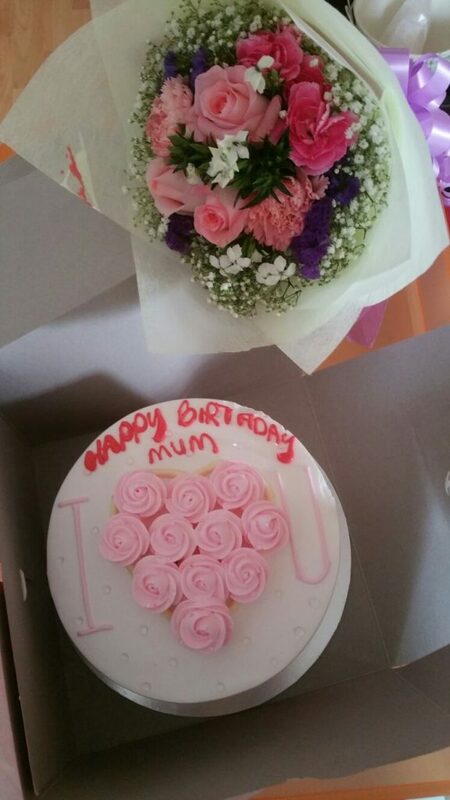 Nowadays, she doesn't seem to recognise the important dates in her life anymore, such as Mother's Day or her birthday. That was the first time we saw a significant shift in her brain function. I can’t remember when exactly things changed again, but it was probably a slow, gradual process; even after her memories returned that year, those invisible brain synapses looping themselves in new forms continued to subtly transform her, bit by bit. Initially, it affected her memory, hearing, and attention span. She couldn’t remember things told to her just a few hours ago, and she often couldn’t hear what we said. She took a longer time deciding what to buy, how much to pay, and often the cashier would begin to glare before the rest of us jumped in to help her settle her purchases. Then as her body gradually grew weaker from chemotherapy, her temperament became more erratic. She started berating us for not spending enough time at home, lashed out at us with vengeful curses, and threw things at us when she was furious. She often spat discriminatory phrases at our domestic helper, calling her dirty and stupid. In those days, my mother’s eccentric behaviour would send curious and confused glances our way whenever we visited the hospital. She once angrily threw a ceramic cup on the floor, smashing it to smithereens, and pinched a nurse when things didn’t go her way. She often repeated things she had already said, as if she was a broken tape recorder. Despite these abnormalities, the doctors stated repeatedly that her medical reports were yielding positive results, and my mother’s cancer cells were “under control”. In fact, my mother even took a photo in the hospital last year to celebrate being one of the “cancer warriors” the oncologists have treated, a specimen of a six-year miracle. Out of all the terminal-stage cancer patients, most of them never lived for more than five years after diagnosis. My mother in the early stage of her cancer diagnosis, when she was still pretty healthy and was wearing a head wrap to cover up her balding head. Yet this stereotypical story of “success” has left me bitter. Veena Das, a famed anthropologist, once stated that an individual’s pain and suffering are invisible to the other unless it can be made visible via language, physical injuries, and other forms that mankind can comprehend. My mother was suffering. As her brain degenerated, her sense of reality became warped. She was unable to control her emotions, or even make sense of the world around her. However, as no figures or medical terms could confirm the pathological condition of her brain, and provide it with an actual diagnosis, it went unseen and unacknowledged. I was frustrated that she was celebrated as a cancer survivor, with her mental struggles conveniently left out of the narrative. Even when they were mentioned, doctors often dismissed our concerns, simply stating that this was inevitable, and that there was “nothing they could do”. They never referred us to any psychologists or psychiatrists. Was it not a priority to them? Did they think their patient was not suffering that much, simply because they couldn’t see it? My family and I were caught in limbo. 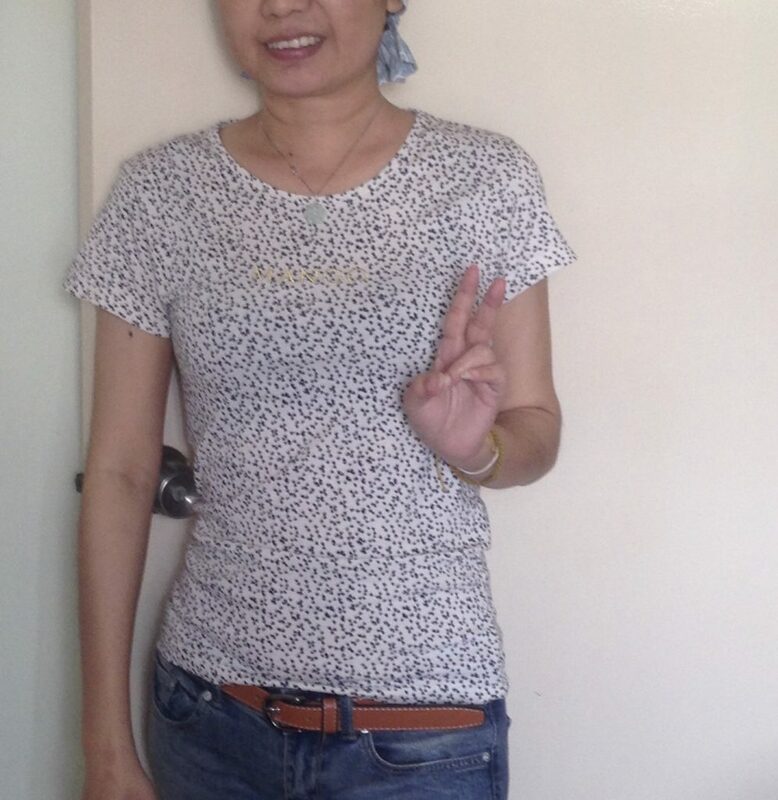 We were supposed to feel happy; grateful even, as her life was prolonged with each successful round of treatment and medication. 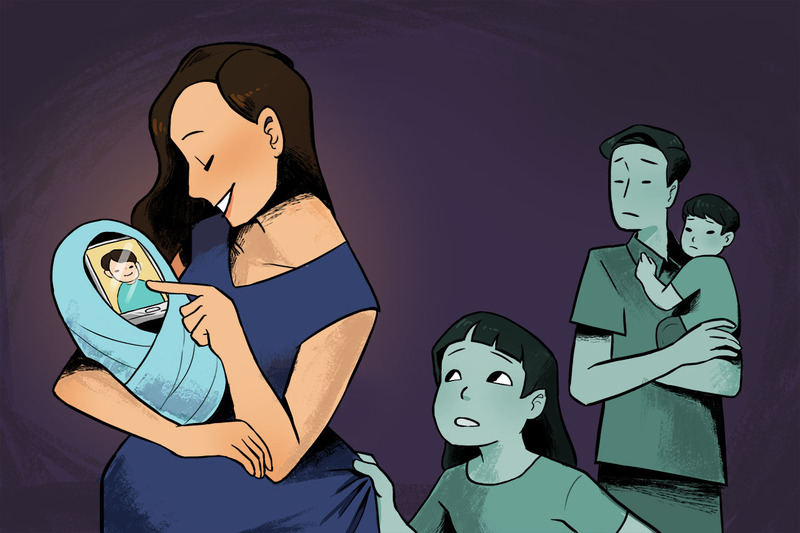 In reality, we were trapped in a complex tangle of conflicting emotions as my mother became almost unrecognisable. We had to get used to a new version of her all the time. Just a few months ago, she insisted on taking laxative pills everyday like they were candy. Then, she became quiet and soft-spoken for a few weeks, refusing to partake in any conversation when family and friends visited. She temporarily lost parts of her memory, failing to recognise relatives whom she hadn’t seen in years. 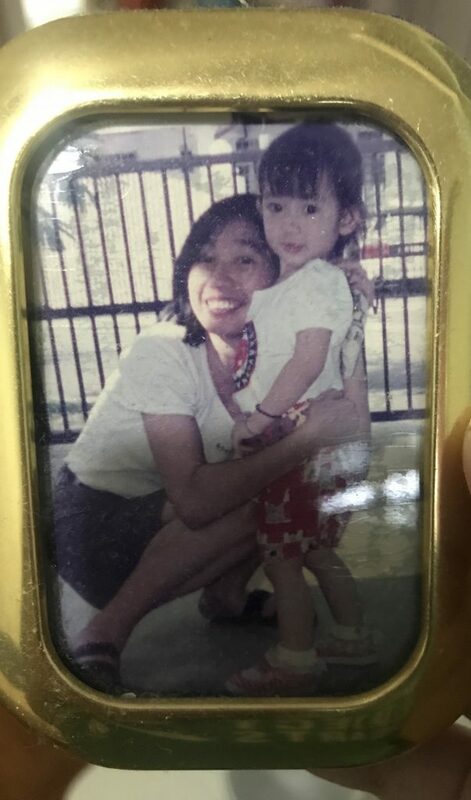 A childhood photo of my mother and I. Today, she’s back to being loud and hot-tempered. As she’s continued to rain torrents of unreasonable abuse on us, I struggled to figure out whether I still loved my mother. Her presence was a constant reminder that life is fragile and ephemeral, where the happiest families can be easily damaged and left shattered. Life had taught me to love the mother I had always known, but it hadn’t taught me how to love a family member who had become a stranger almost overnight. At one point, I was constantly angry, perhaps because I wasn’t able to accept this reality. My father, who is now the primary caregiver of the family, was also constantly irritable. I started to believe that I would never love my mother again—this strange woman she had become, and even believed that I hated her for bringing so much pain to us. However, as our lives have gone on, I’ve come to understand the reason for my feelings of intense negativity. 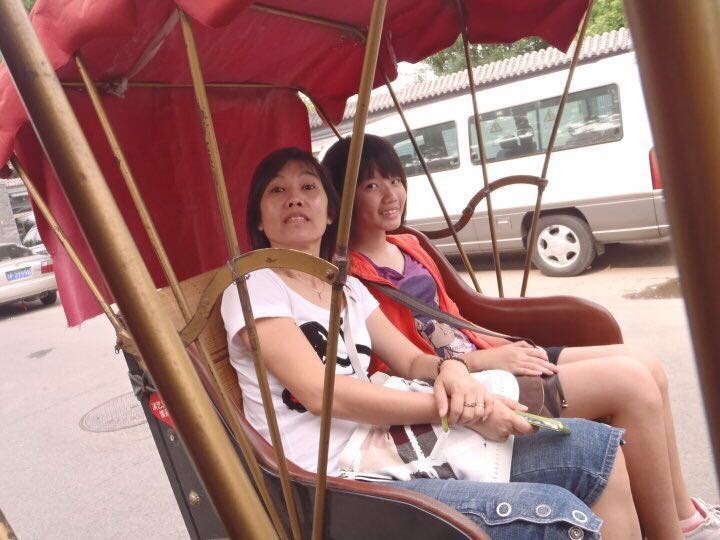 It was because she is my mother, one of the first people I learnt to love, and will perhaps always love. If she were truly a stranger, I might not have given her condition a second thought. But life works in funny ways, and you often feel more deeply for a person that you truly care for. With that, the hate in me dissolved, and just like my other family members, I’m now left with a bittersweet feeling of resignation. Cancer patients mostly fight a race against time. They are depicted as either victors who have won the battle, or as victims who fought bravely, only to succumb to their illnesses. In the case of our family, we find ourselves stuck right in the middle, not belonging to either side of this false binary. There are often bad days, but there are also the rare good ones. Strangely, my mother’s illness has made my family closer than ever before. It has also made me realise that cancer, like any other traumatic moment in life, can often strike in the most unexpected ways. Its effects are not always visible. Sometimes, the pain of cancer can be silent and unseen, and perhaps it is the silence of such pain that is the scariest.